Hundreds of natural gas workers and National Grid have ratified a new contract, ending a six-month lockout. 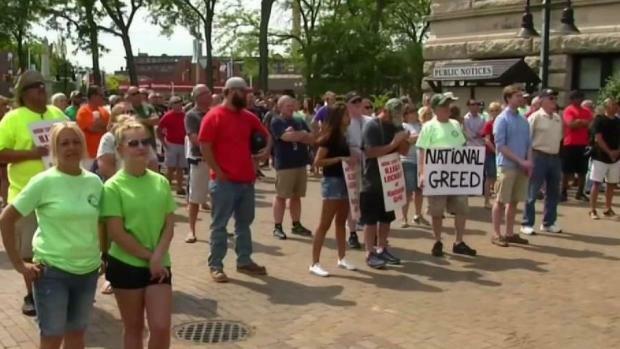 Leaders of the United Steelworkers Locals 12003 and 12012-04 announced Monday afternoon that they had ratified a tentative agreement reached Jan. 2. The 5-1/2-year agreement covers approximately 1,250 members across eastern Massachusetts and replaces the contract that expired on June 24, 2018. Utility workers had been locked out by the utility in July after a previous collective bargaining agreement expired. The company had said its proposals to shift certain health insurance costs to employees and replace pensions with 401(k) plans for newly hired workers had been among the major sticking points. 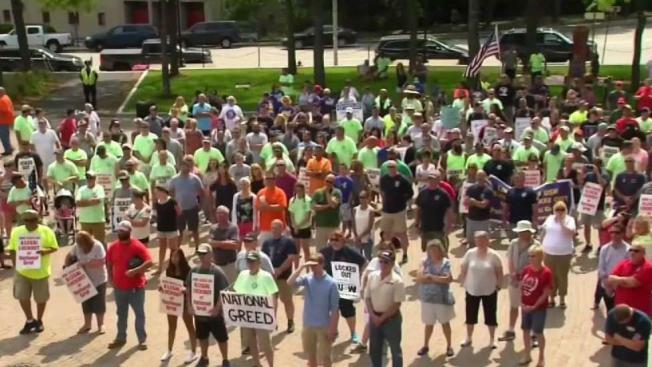 National Grid and unions representing the more than 1,200 natural gas workers who have been locked out for months have announced a tentative agreement that could bring an end to a months long lockout. "We made the progress we had set out to make on healthcare and transitioning new hires to 401(k) plans," Marcy Reed, president of National Grid in Massachusetts, said in a statement. "In return, we agreed on a number of issues that were important to the unions. It is important for us to have comparable benefits across our employee base, and to ensure all our union employees are fairly compensated with excellent benefits." Employees are expected to return to work Jan. 20. "We're now focused on assuring that employees can effectively return to work and safely perform their job duties," Reed said. National Grid said the contract includes compromise language on several of the major sticking points in the dispute, including pensions and health care. The company will eliminate pensions for newly-hired workers, but offer increases in pensions and wages to current employees. John Buonopane, president of USW Local 12012, and Joe Kirylo, president of USW Local 12003, released a joint statement after Monday's ratification vote. "Today our members voted overwhelmingly to ratify a new, six-year agreement with National Grid. This contract provides a significant wage increase and a number of other crucial protections for workers," they said. "Just as important, the agreement safeguards the future workforce and includes a number of provisions that will enhance the safety of our communities -- including the creation of dozens of public-safety related jobs."